Feeding a picky eater can be a struggle whether it’s a child or a spouse. Getting a healthy breakfast in them is a great start to success with a healthy day. There are many reasons a person may be a picky eater. It might be an association they have with a certain food, or it might be a texture problem. I have sensory issues and many foods are unpleasant to me because of the texture. I like yogurt and pudding but if I try to eat them, my throat just starts throwing them up. I just can’t do it. They taste good, but they won’t go down. Don’t try to force a person to eat something they find unpleasant. You’ll end up with a lifetime of struggle getting them to eat that or even anything else. After over 20 years feeding all types of eaters in my family and home daycare, I am a master at hiding healthy food from even the pickiest eaters. Check out how I hide veggies in this post. If you want even more tips to feed picky eaters healthy food, my e-book can be a great help to you. 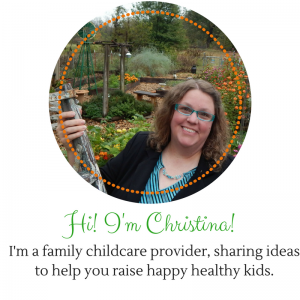 Click here to see how to actually get picky kids to eat healthy food. I promise it works. 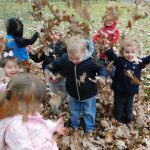 I see EVERY child that starts in my care learn to like more food than they did when they came. It just takes understanding, patience and not giving up. Seriously, check out the book, it could change your life. Coming up with healthy breakfast recipes is easier than you might think. There may be many things that you just aren’t thinking about. Look over these suggestions and find ways to tweak them so your picky sweethearts will be drawn to them for some reason. Fruit and peanut butter. Spread some peanut butter (or sunbutter if you have a nut allergy) on some banana slices, apple slices or whatever kind of fruit your kids like. This will help them get some extra protein. If you have a daycare and you want this to meet CACFP rules, you can serve this with a side of Cheerios and a cup of milk. Banana roll-ups. Spread some peanut butter on a whole wheat tortilla and add a peeled banana. You can sprinkle some raisins on top, some nuts or seeds, or replace the banana with chunks of apple, carrot, or whatever you prefer. Roll it up like a burrito and you have a super fun “taco” for breakfast. This is food program approved as long as you put a serving of fruit inside. Egg scrambles are a great way to add some veggies in at breakfast time. 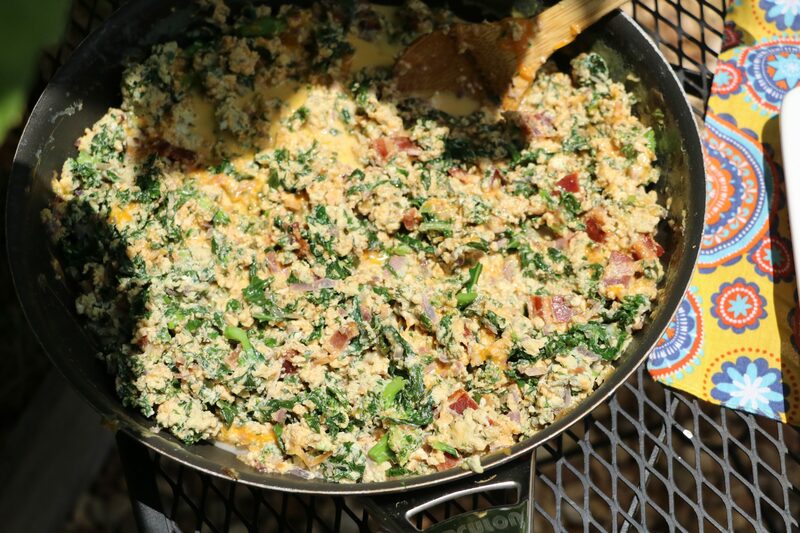 Prepare your eggs for scrambling and drop in some spinach, grated carrot, squash, eggplant, potato, or broccoli, you can add chunks of cauliflower or broccoli if whoever you’re feeding won’t mind that and it’s tastier than you might think. We have it that way all the time and it’s awesome. Egg scrambles can meet CACFP requirements if you use this one for the protein breakfasts you’re allowed to serve. Just remember only 3 times a week. Check out this post for more CACFP breakfast ideas. You can put your egg scrambles in a warmed tortilla, top with cheese and roll it up for yummy breakfast burritos too. Yogurt smoothies make wonderful healthy breakfasts. 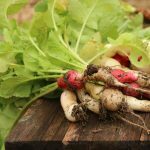 This wouldn’t be creditable for the food program, but you could use it as the fruit or vegetable component and serve a side of toast, a boiled egg (for the allowed protein breakfast days), or a serving of whole grain cereal. 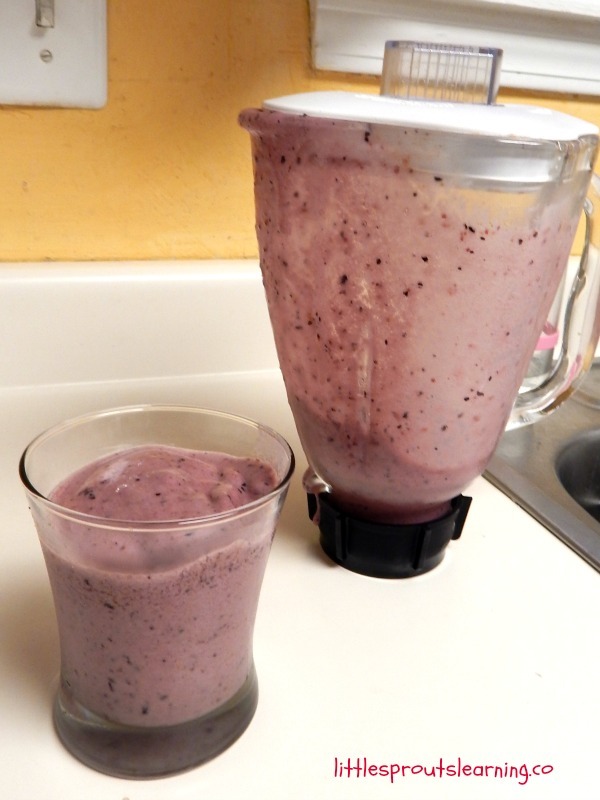 Click here for a yummy smoothie recipe. You can also add veggies into a smoothie with some fruit and beef up the number of vitamins you are serving in your smoothie. We make green ones with spinach and call them Hulk smoothies. The kids love that. 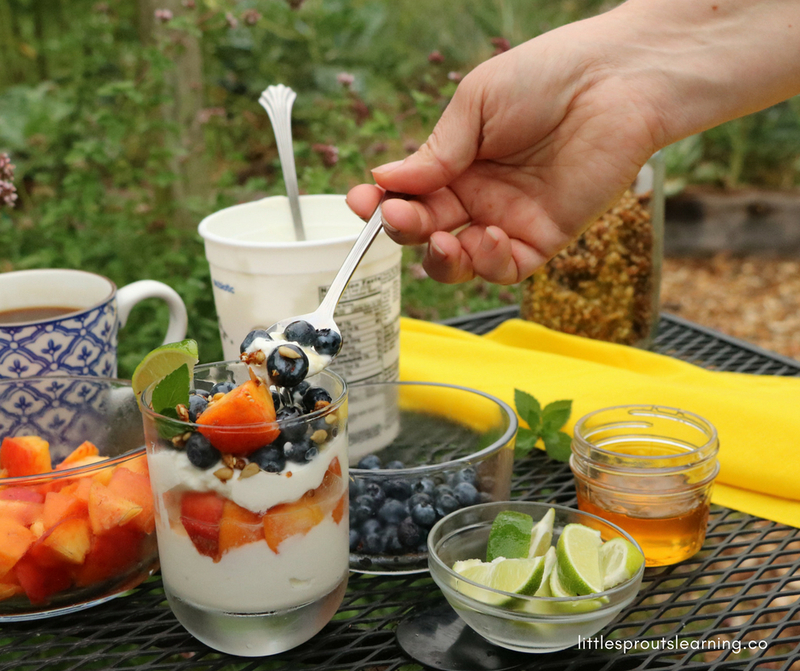 Yogurt parfaits are a delicious breakfast. 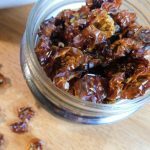 You can mix in some chunks of favorite fruit and a handful of granola and have quick, easy breakfast in a hurry. You can take it to go in the car too. This wouldn’t be creditable on the food program for breakfast, but you could serve it for snack and it would qualify. Check out more CACFP snack ideas here. Oatmeal and other whole grain cereals make a wonderful hearty healthy breakfast. 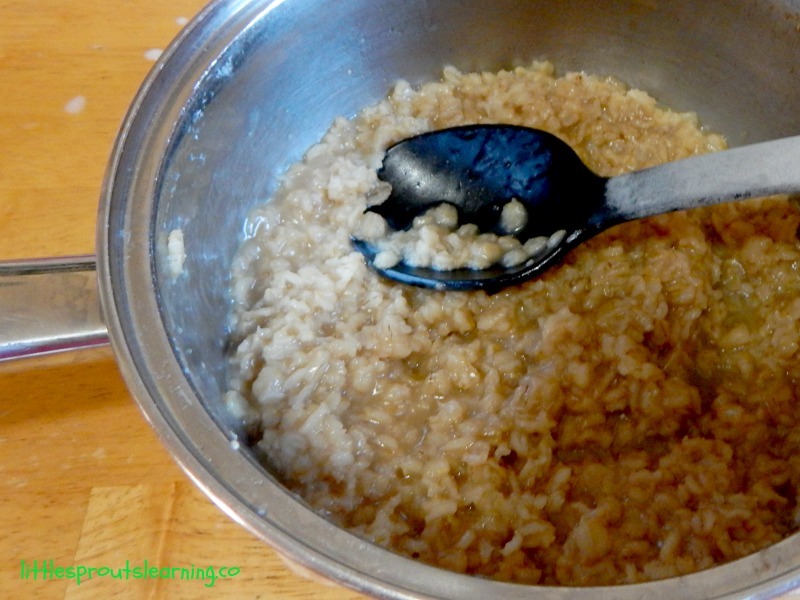 You can make your own flavored oatmeals just like the boxed kind but with wholesome ingredients. Check out this post for a variety of flavored oatmeal recipes. Fruit salad makes a super good breakfast packed with tons of healthy vitamins and minerals. Just cut up a few kinds of fruit you like and mix it together. 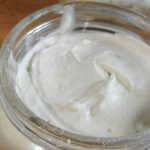 You can add some honey, yogurt, or whatever you like for a sauce or just serve it as it. To meet CACFP requirements, fruit salad can count as your fruit and you can add a whole grain component like whole wheat toast or whole grain cereal with a glass of milk to make a complete breakfast. Breakfast breads make great healthy breakfasts. You can make them with whole wheat flour or add nuts, seeds or fruit into the batter to boost nutritional content. 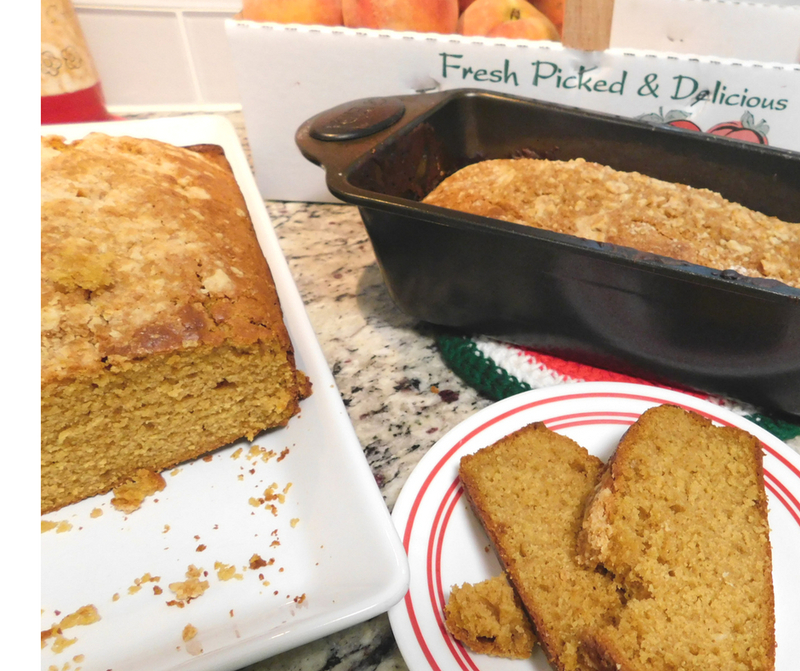 Check out these recipes for banana bread and peach pumpkin bread. You can make them in a loaf pan or make them in individual muffin tins for pre-portioned servings. I like to slice the bread. For me, it’s easier to cut slices than portion the batter out into the cups when baking. Whole grain pancakes make a great healthy breakfast. Even picky eaters love pancakes! You can add the same nuts, seeds or fruits to your pancake better for a variety of yummy flavors too. I love making breakfast casserole and there are tons of variety available. 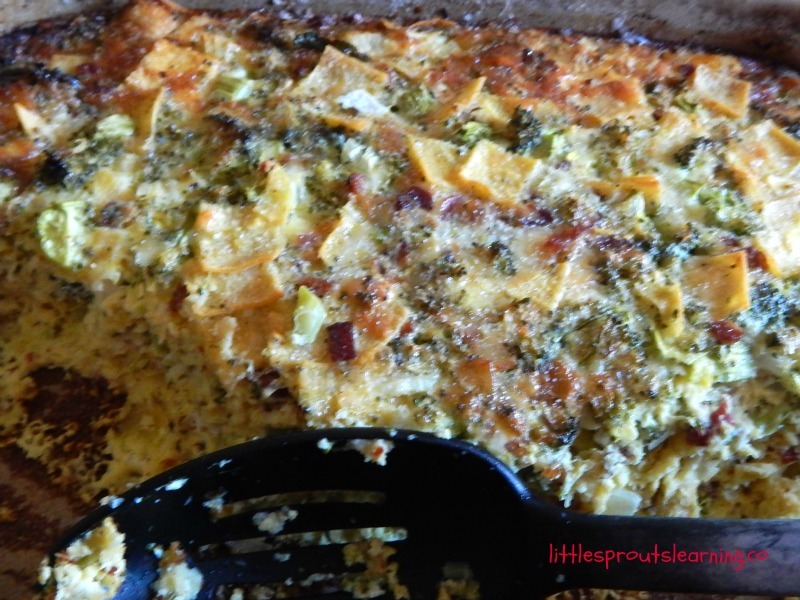 We make egg and vegetable casserole all the time and my kids love it. You could serve it for breakfast or lunch on the food program by adding bread into the mixture and baking it right in the casserole. I prefer making a side of biscuits or toast because I don’t really like the texture of bread in the egg mixture, but it certainly could be good for people who like it that way. Even a cheese stick and serving of fruit makes a great breakfast, especially on the go with the family. Most kids like cheese sticks and it adds protein to their breakfast. Add a glass of milk and you can use this as your allowed protein breakfast for the food program as well. What does your picky eater like? Potato hash is a great way to add vegetables into breakfast time. You can dice up your potatoes into small cubes and cook them until crispy. Then add whatever else you’d like. Diced up broccoli, carrots, cauliflower, torn spinach leaves, kale. It may not sound like something you’d like, but you might be surprised. Try it. Add a slice of toast and you’ll meet your food program requirements for breakfast too. Whole wheat bagels or English muffins spread with some peanut butter or cream cheese and topped with sliced fruit are a great breakfast. Just slice strawberries, bananas, apples or whatever like thinly and top with it. Drizzle on some honey if desired. This would make a great breakfast that most picky kids would enjoy and it meets CACFP requirements too. There are so many healthy breakfast ideas you can use. I hope some of these inspired you to come up with something your picky eaters (and you) will love!